Legacy Polmers and Recycling specializes in industry programs. We help companies and organizations idenfity their recycling needs and establish a profitable recycling program. We manage all aspects of the program, serving as a one-stop solution for our clients' recycling needs. Allowing Legacy Polymers and Recycling to handle your waste streams can save money and generate revenue. We know the challenges a company faces when they start a new method of saving scrap or implement a new recycling program. 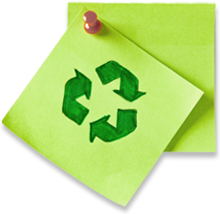 Our team assists by analyzing your current recycling processes and conducting a waste audit. We indentify recycling opportunities and even set up baler and pickup programs for our clients. We handle multiple locations and can manage multiple programs for different types of waste. Our goal at Legacy Polymers and Recycling is to help clients develop and maintain a sustainable, lucrative recycling program. What's good for the environment can also be good for your bottom line. We have proven solutions for corporations, manufacturers, governmental agencies, the oil/gas industry and landfills. Interested in starting a recycling program, or increasing the profits from your existing program? Contact us today. Legacy Polymers takes the time to get to know you and your company/industry before recommending a custom solution for your needs.